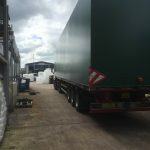 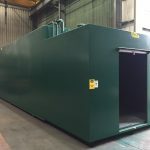 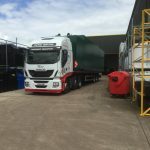 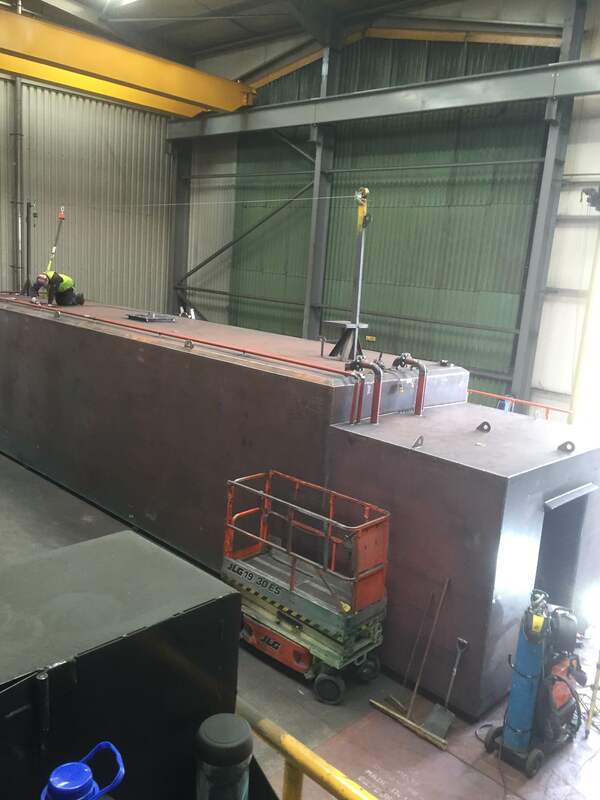 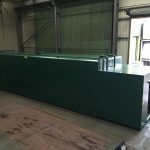 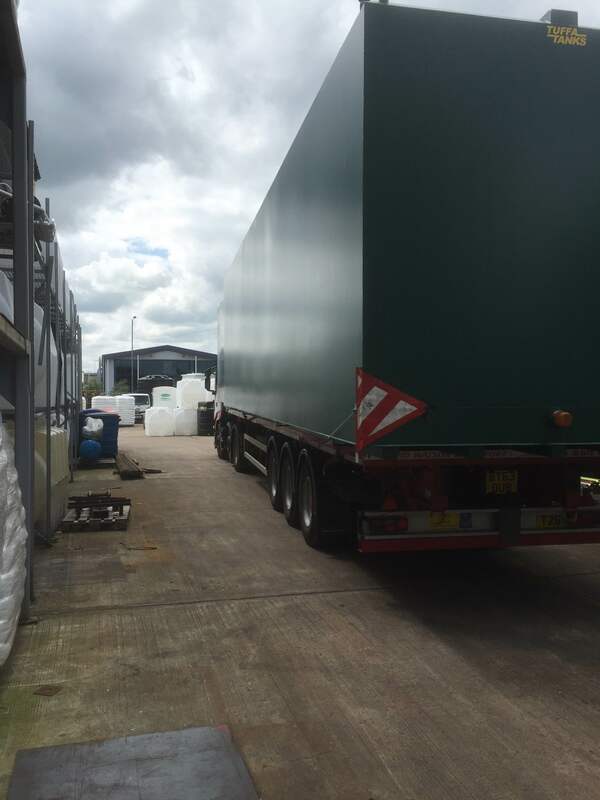 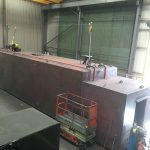 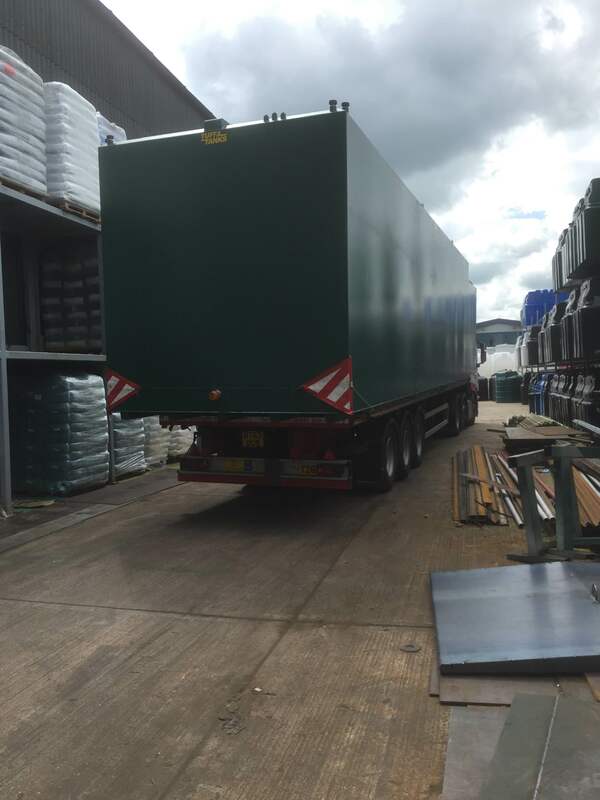 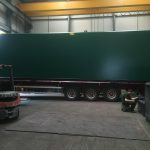 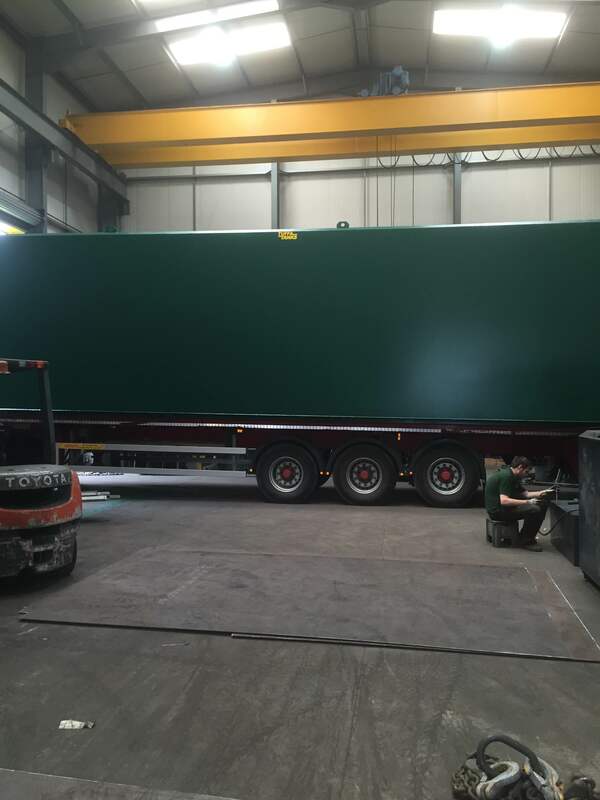 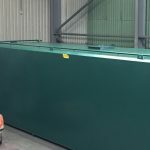 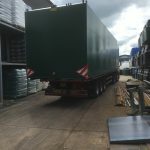 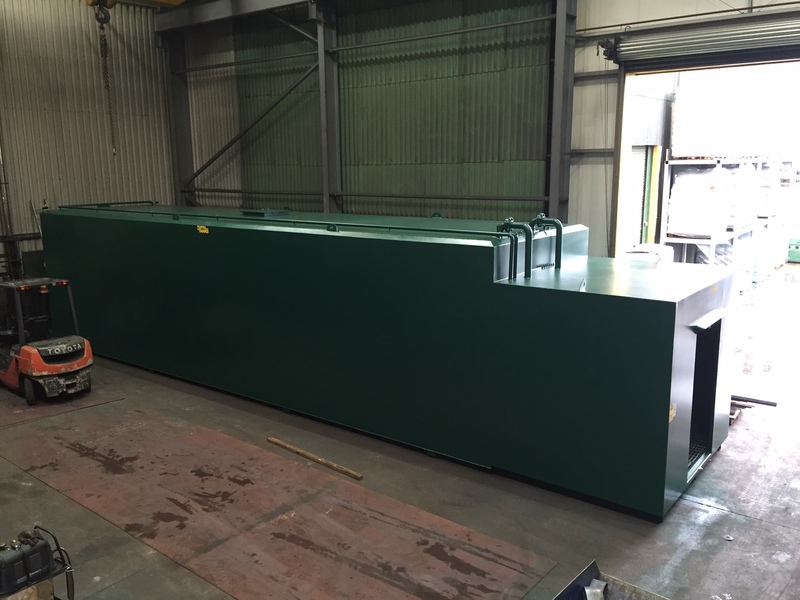 A bulk 100,000 litre steel diesel tank has been purchased and delivered to a site that will provide protection against potential flooding which is common in certain parts of the Country. 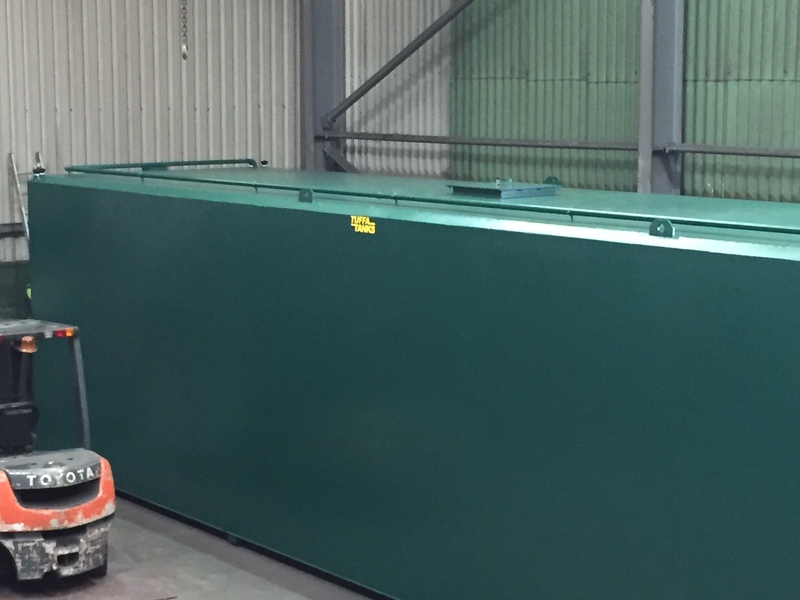 The fuel would power pumps that work alongside a floodgate in the UK. 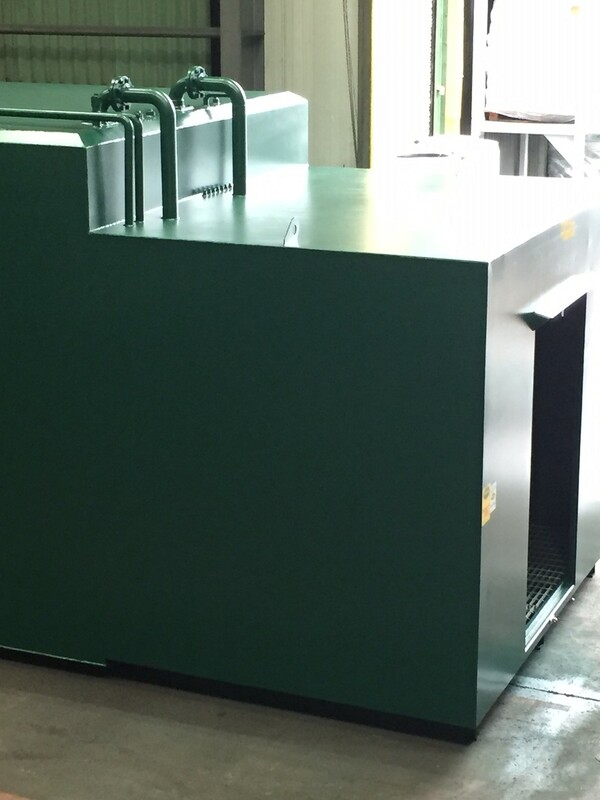 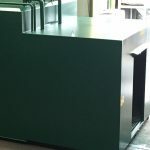 The tank measured in at 14250mm (L) x 3000mm (W) x 3000mm (H) and built with a 2250mm deep walk in cabinet in which the end user could easily gain access to all the fill and dispensing equipment, which included a 3″ fill point with 3″ emergency fill connection. 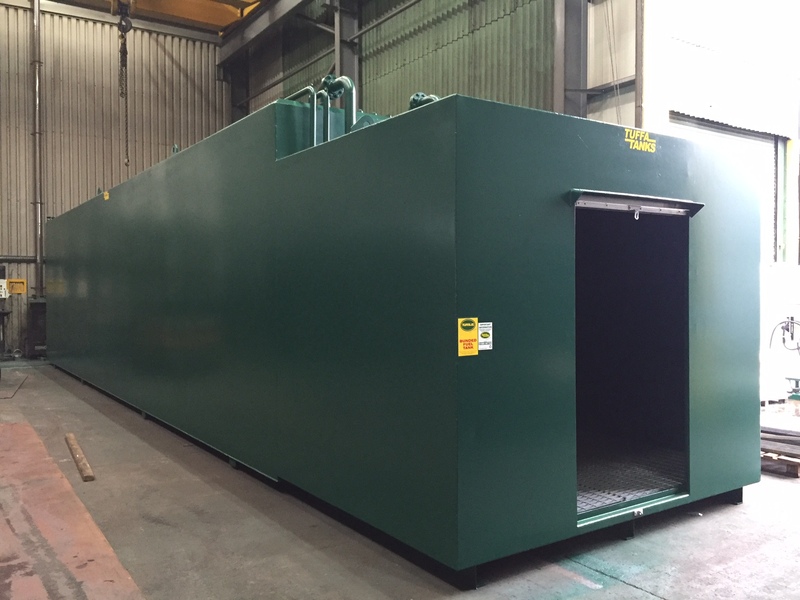 The Tuffa Tanks steel factory was more than capable of accommodating this size tank. 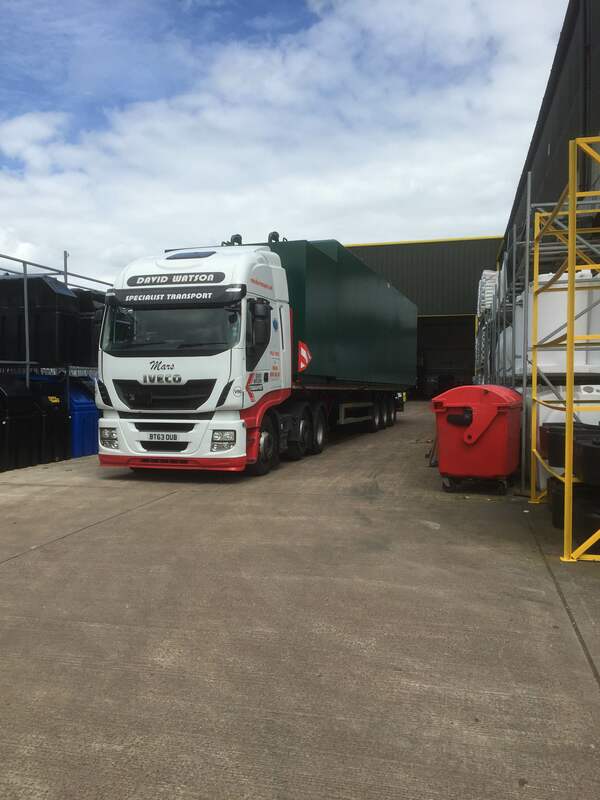 Haulage company David Watson Transport Ltd did a fine job of delivering this mammoth tank to its final destination.